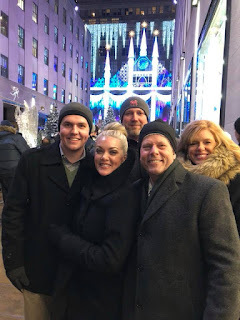 In mid-December, some freshmen Republican state representatives took a trip to New York City to attend meetings put on by the Institute for Research on Presidential Elections. The group spent a little over $2,000 on one legislator, and likely spent the same amount or more on two others. The purpose of the junket was to learn about the IRPE's efforts to change how we elect the President from the Electoral College system to a national popular vote. I first learned about this after reading an article by Brianna Bailey of TheFrontier, entitled Oklahoma lawmakers can accept limitless hotel stays and travel subsidies from special interest groups. Bailey includes a list of these "scholarships" here, dating back to 2015. 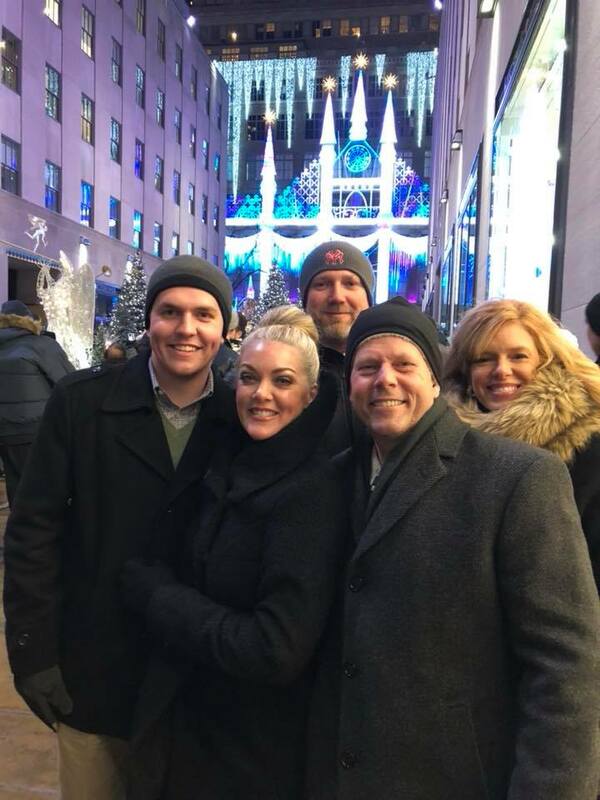 Listed first alphabetically on the Frontier's list, State Rep. Avery Frix (R-Muskogee) reported a scholarship of $2,063 to the Oklahoma Ethics Commission for a trip to New York City from December 14th, 2017, to December 17th, 2017. I asked Rep. Frix for more information on the excursion, and discovered that State Rep. Rhonda Baker (R-Yukon) and State Rep. Kevin McDugle (R-Broken Arrow) also went. Baker appears to have attended with her husband, and McDugle brought his girlfriend along (he is currently going through a divorce, and is accused of adultery). According to the Oklahoma Ethics Commission, legislators must file the reporting forms within 30 days of the trip; as of tonight, neither Baker nor McDugle appear to have done so (Frix did). It is possible that Baker and McDugle paid for the trip out of their campaign accounts, but those reports aren't due until the 31st, and they have not responded to my questions on this topic. John Koza, "a California Democrat who made his fortune by inventing the scratch-off lottery ticket", started two non-profits about a decade ago to push his goal of discarding the Electoral College -- the Institute for Research on Presidential Elections, and National Popular Vote. IRPE is the group that paid for Baker, Frix, and McDugle to attend their NYC junket. Back in May, when the State House held rare Saturday proceedings during late-session budget negotiations, three Democrats were absent, attending a seminar in California. State Reps. Eric Proctor (D-Tulsa), Shane Stone (D-OKC), and Cory Williams (D-Stillwater) were at a conference being put on by none other than the Institute for Research on Presidential Elections. The Democrats did not receive any scholarships/grant/subsidy for their trip; Proctor's campaign spent $1,614.61 for his expenses, Stone's campaign spent $1,037.53, and Williams' campaign spent $466.96. "[T]he most viable campaign to change how Americans choose their leader is being waged at booze-soaked junkets in luxury hotels around the country and even abroad, as an obscure entity called the Institute for Research on Presidential Elections peddles a controversial idea: that state legislatures can put the popular-vote winner in the White House." "The only way to ensure a nuanced, in-depth discussion of a national popular vote is to lock people in a conference room for hours—and the only way to do that is to lure them to a swanky location promising an otherwise leisurely weekend of free food, drink and entertainment. The seminars initially targeted state lawmakers—whose votes back home will shape the Compact’s fate—but beginning last fall they have also been organized for journalists and opinion leaders in an attempt to gain broader recognition." Koza has been the primary funding source for the National Popular Vote push, putting over $14M into it so far and pledging at least $2M per year for future efforts. Leading into 2016, Koza and his compatriots felt like they were on the verge of finally getting a Republican-led state to join the National Popular Vote Interstate Compact (NPVIC): "If the 2016 election had been normal, we believe we would have gotten enactments in red states in 2017,” Koza says. “We’ve been in a holding pattern, waiting to see if things cool down. … We’re currently in the process of figuring out what to do in 2018." Currently, 10 blue states (CA, HI, IL, MD, MA, NJ, NY, RI, VT, WA, as well as DC) have signed on to the NPVIC, representing 165 electoral votes. Three Democrat state representatives attended an IRPE conference in California in May. Three Republican state representatives attended an IRPE conference in New York City in December. It does appear that Oklahoma is getting special attention paid by the NPVIC proponents. I reached out to several other Republican legislators to see how widespread the IRPE invitation was. None of the members I heard back from had been invited, leading me to believe that specific legislators were being targeted, specifically freshmen, or else singled out for exclusion. I asked Reps. Frix, Baker, and McDugle whether they were supportive of the electoral college reforms being put forward by the Institute for Research on Presidential Elections. Reps. Baker and McDugle have not responded to any of my questions as of this point. Rep. Frix said, "Currently, I support the system as is. I appreciate the opportunity to learn about the history of the electoral college and the treatment swing states receive vs. non-swing States. As well as analyze where the contributions come from and where they are spent in Presidential elections. I'm still learning more." According to Frix, "All [of the speakers] were conservatives." NPV and IRPE have routinely used Republican figures such as former Michigan GOP Chair Saul Anuzis to recruit GOP support, once even touting an endorsement by Newt Gingrich. The NPV 'about' page has a mix of people who support the plan, ranging from Democrat mega-donors, consultants and a former Bernie Sanders staffer, to Anuzis and a former Republican State Senator from California. This is not the first time that Oklahoma has been targeted by the National Popular Vote advocates. In 2014, a version authored by [now former] State Sen. Rob Johnson passed the Senate 28-18. After grassroots outrage to the vote, Republican Senators Allen, Brecheen, and Stanislawski publicly admitted their error in lending support to the measure. Johnson and former State Rep. Don Armes (R-Faxon) authored NPV bills during their tenure, and have lobbied for the idea since leaving the legislature. Following the 2014 Senate vote, the OKGOP Chairman (Dave Weston, at the time) issued a scathing editorial on the National Popular Vote Compact, as did former OKGOP chairman Matt Pinnell (who was working at the RNC at the time). The measure did not advance in the House. Under the NPVIC, Oklahoma's electoral votes would have been cast for Bill Clinton in 1992 and 1996, Al Gore in 2000, Barack Obama in 2008 and 2012, and Hillary Clinton in 2016, despite Oklahomans actually voting for the GOP candidate (overwhelmingly in most cases). Conservative activists will need to keep a watchful eye on the Legislature to make sure that no effort is made to tie our presidential voting to the national popular vote, and that this scandalous and subversive effort is not successful in Oklahoma.